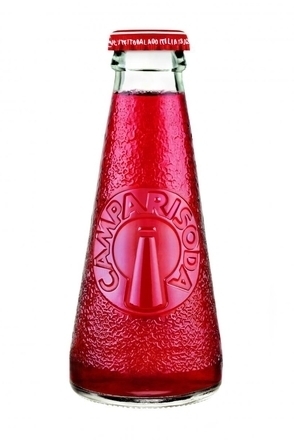 Campari is still made according to Gaspare Campari’s original 1860 recipe and is entirely natural, flavoured with 68 different fruits, herbs and spices. The recipe remains a closely guarded secret known by only a handful of people, and is so guarded that the factory director mixes the ingredients in a special blending room in Milan and this concentrate is then shipped to other Campari production facilities in Brazil, France and Switzerland. The company will only confirm bitter orange peel is part of the recipe but it is also believed to contain: quinine, rhubarb, ginseng, chinotto (myrtle-leaved orange tree) and Cascarilla bark. 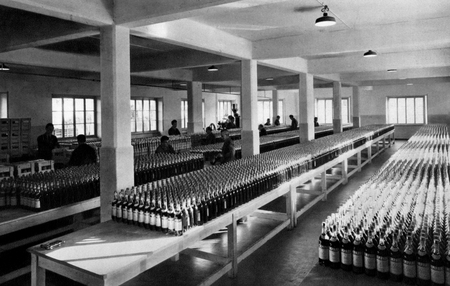 Interestingly, bottles exported to the U.S.A. are labelled "Campari Aperitivo" instead of "Campari Bitter" – presumably it was felt Americans would find the word aperitivo more appealing, or it could be that “bitter” may cause confusion with aromatic cocktail bitters. The only aspect of the recipe to have changed came about in 2006 when the original red cochineal (carmine) dye was replaced due to the previous insect carcass based colourant being an issue for some vegetarians. If you find the prospect of some “bug juice” being used for colouring disturbing, then beware of some other red coloured liqueurs which still use carmine.